First and foremost, we are rehabbers in this current market. We have a system in place that allows us to get many great investment properties. There are only so many that we can do at one time, plus we also get deals outside of our rehab area. 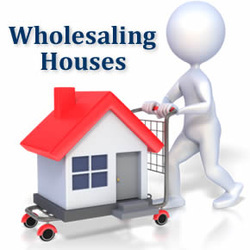 That being the case, we offer investment deals to our wholesale buyers. If you have cash and can close quickly, then feel free to join our buyers list by filling out the form below. We only offer rehab flip opportunities in Southern California. If you are buying in the Southern California area and would like to be added to our wholesale buyers list, please fill out the form below. Please include your buyer's criteria in the comment section and include the amount of cash available. Only those who enter their criteria in the comment section and who are actual buyers will be added to the list, no wholesalers or agents please. Copyright © 2017 Barnard Enterprises, Inc.